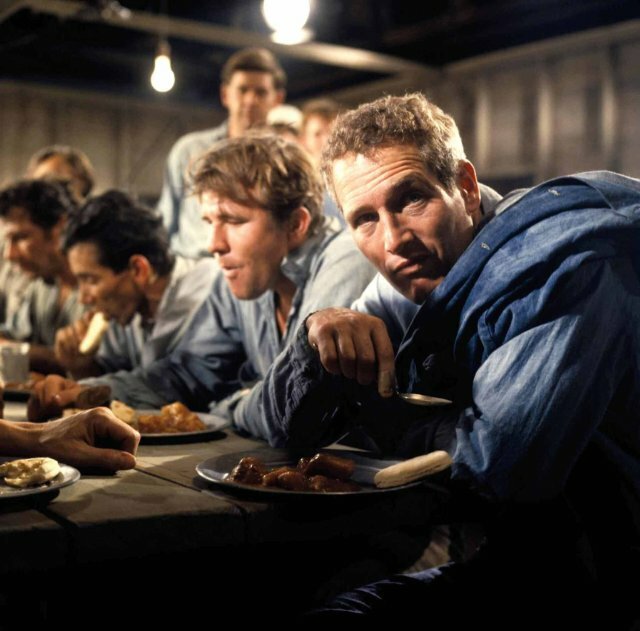 Decent film that’s rather plotless until the last hour or so, and even then not much more happens, though it manages to stay interesting for the most part thanks to a “cool” performance from the always effortlessly charismatic Paul Newman. The first hour, though, really could have used a goal or hook to keep things moving. The lack of plot in the first half isn’t a huge flaw per se, it just feels like time wasted given how drastically the story picks up once things actually start to happen in the second half. It’s the difference between an okay movie and a truly good one, with the first half being merely okay, but nothing special when compared to the suspenseful and funny and engaging “escape saga” that is the second half. Amazing what adding a little plot will do to the overall entertainment value of your movie. The film is also chock full of strange religious symbolism that I couldn’t quite wrap my head around. Newman’s character is a Christ figure of some kind, I guess, with his **SPOILERS** eating those 50 eggs being the “miracle” he performs that convinces everyone of his “divinity,” and his death at the end, in a church mind you, being the sacrifice he makes to keep hope alive among the other prisoners. **END SPOILERS** But I don’t know. It’s all very strange. So, yeah, a decent, manly film full of deep religious symbolism and hard-working guys sweating and toiling and shoveling stuff around for hours and hours or ogling suggestively at attractive women when the opportunity presents itself and such. It’s a film that certainly gets better as it goes along, thanks in part to the story that develops in its latter half and to the presence of a mostly shirtless Paul Newman who really enjoys flashing that million dollar smile of his at every possible opportunity. Eh, it’s what made him famous, among other things. To each his own. Anyway, an enjoyable film, if you have the patience for it. Worth a watch.